The New Year is upon us, and whilst it’s already speeding by, there’s a lot to look forward to in the remaining 11 or so months. 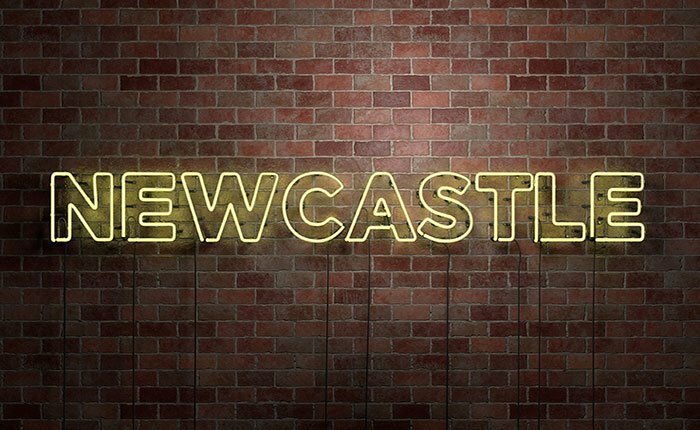 As a leading, Newcastle based web design agency, we’re proud to be local and make no secret of it. That’s why we’re so excited to share what’s going on in the year ahead in our pretty epic hometown. Read on to discover the hottest dates for your diary, and trust us, these events are not to be missed! February 2019 kicks off with another amazing Chinese New Year event. The parade, which is set to make its way through the heart of Newcastle at 11.30am on Sunday 10th February, will be accompanied by a number of vibrant activities in and around Stowell Street, China Town. Theatre goers will also want to book their tickets to see War Horse, which is coming to Sunderland Empire from Wednesday 6th to Saturday 23rd February. Love horse racing? Well you don’t have to wait long to watch the first big race. The Betfred Eider Chase is set to take place at Newcastle Racecourse on Saturday 23rd February. Spring is also a great time to appreciate art and culture, with the BBC Radio 3 Free Thinking Festival, which runs from Friday 29th until Sunday 31st March at Sage Gateshead, set to be a hive of debate, ideas, music and performance. Our love of local music and art continues into April with the Royal Northern Sinfonia mini-series and the Moving Parts: Newcastle Puppetry Festival 2019. Thought your events calendar couldn’t get any better? Just wait until you see what’s in store for you this summer! Newcastle is hosting the biggest weekend in European rugby with the Heineken’s Champions Cup and European Challenge Cup at St James’ Park on Friday 10th and Saturday 11th May. Fans of cricket can catch the biggest event of the season as the ICC Cricket World Cup has a number of fixtures taking place at The Riverside Durham. This is Tomorrow Festival will return, this time at a new location in Exhibition Park, with an incredible line-up. Sunderland is playing host to the hottest comeback of the decade with 90s super group the Spice Girls playing the Stadium of Light on Thursday 6th June. Tickets have however sold out. Northern Pride also returns to Newcastle for the biggest celebration of LGBT life. Several fabulous and free events will take place throughout the North East from Friday 19th to Sunday 21st July. The Great North Parade will launch on Wednesday 21st August and after the Snowdogs Trail of 2016, the city welcomes Elmer and his herd to raise awareness and essential funds for St Oswald’s Hospice. Raising awareness for great causes continues with the World Transplant Games 2019 from Saturday 17th until Saturday 24th August. We don’t want to wish the year away but autumn and winter 2019 has a number of fantastic events to enjoy. The Simplyhealth Great North Run is on Sunday 8th September, various Heritage Open Days will be taking place from mid-September to provide a bevy of great family days out, whilst Matthew Bourne’s Romeo and Juliet and Ben Elton come to our theatres. The city will play host to lots of Oktoberfest celebrations and looking ahead to next Christmas, NewcastleGateshead Winter Festival will spell a season of festive inspired events.